There's still time to participate in Color Challenge 58! Remember, you don't have to have the EXACT colors to play. Just use colors inspired by the ones you see below. This challenge features candy-coated colors to inspire you — Cotton Candy, Cherry Crisp, Field Day, and Berrylicious. 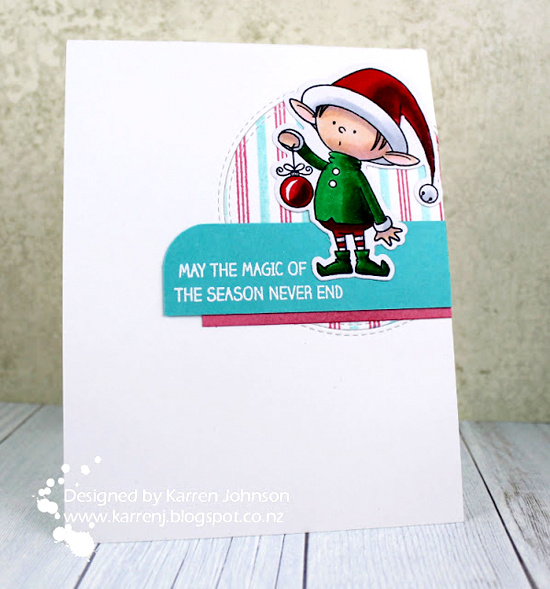 Karren Johnson inked up the Candy Stripes Background Builder stamp to create a cute background in our color combination to complement the curious elf from the Santa's Elves stamp set. Super adorable! Kirsty McIntyre's rendition of Color Challenge 58 is simply lovely! 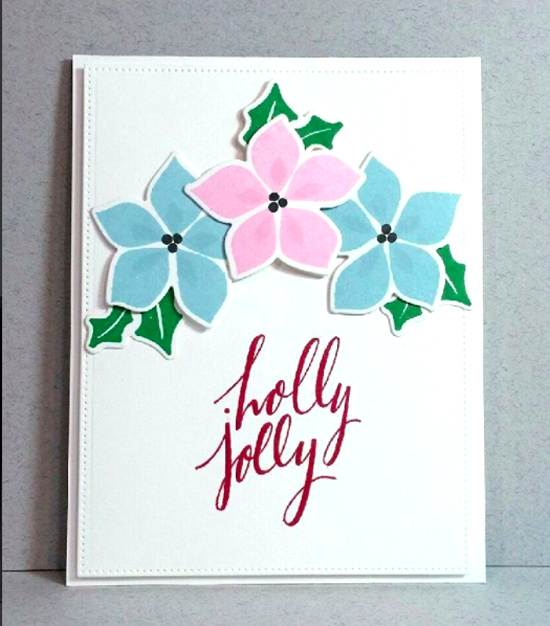 She used the Hand Lettered Holiday stamp set and Winter Warmth stamp set and Die-namics on this festive card design. Thanks so much for featuring my elf card! I'm thrilled! Congrats to Kirsty - yur card is beautiful!